The Tao of Gini: If I die from cancer, at least my life is documented. If I die from cancer, at least my life is documented. I am the wife of Bill. and many just say "huh?". No, seriously. We make "us" work by working hard at it. and are in love with each other. Well, we got married twice. and invited 8 of our closest relatives. Later on down the road, we actually got married in church. doing what all married people should do. Stuff you can't do later when you have kids. So we traveled a lot. To very beautiful islands in the Caribbean. We also opened a flower shop. freelanced and became a mom. so she would in some way resemble me, way back then). Then three years later we had Connor. Really, three years later it was Connor. Or so that was the joke, back then. for the next 8 years of our life. I'll guess here - 360 days of sunshine? Bill and I became less known as Mr. and Mrs.
and more known as Mommy and Daddy. Turn 40 and have another baby, you say? and built a new one. and not leaving the hospital until 3 days later. I suppose. He was born with pneumonia. move into a rental, 'cause the new house wasn't ready yet. And I will admit that that was the most humbling moment of my life. we were a complete family. because I ABSOLUTELY HATED LIVING IN THAT HOUSE. Fast forward 6 months, and we finally moved into the new house. the fun and the painful. Which brings us to a year ago. WHY NOT JUST WRITE ALL THAT SH*T DOWN? For one - our family near and far stays updated. For two - our friends realize how darn funny we can be. this is my life - The Tao of Gini. Finally, after 43 years, I think I am OK with that. Congrats on your Blogoversary! YAY!!!! I am looking forward to another year of fabulous photos, updates on desert life and the general mayhem that calls the Herbst house home! Happy Blogoversary! It's been great to be able to "see" you guys this way since you're so STINKING FAR AWAY! Nice post title, you psycho! Congrats. And great post. I just learned a lot about Gini. well how cool is that... learned some really neat stuff about yal1... i loved that! 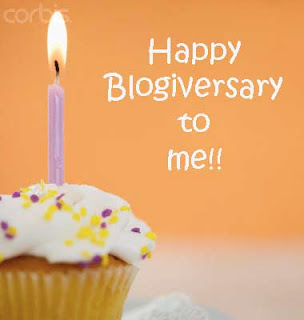 and of course Happy Blogoversary too! holy crap!! First, reading your title makes my stomach ache.. I live with thought of this happening.. 2nd. 17 years, 3 kids, 2 houses and a BUNCH of rentals.. holy crap, where have I been?? I travel to much!! 3rd. truly looking forward to reading you over the years to come. And readers, I am not as lazy, sloppy, angry, moody, tired or not home as she implies.. I do leave my clothes in side out, but hey, how else would I know if they were clean?? Happy Blog-day to you! I enjoyed the fast forward version of your life and all that is yet to come! Great post...Glad we figured out what it's like to go into labor on your own after we already had 4 kids between us. I laughed when I read that part...took me right back to that moment of "What do we do now?" Anywho~ I enjoyed reading this post and you are a very dear friend, so no more dumb a$$ titles like that oK?! Great post Gini. The large bank accounts comment was funny. I know somewhere I still have that check you wrote me for back pay that I still haven't cashed! I think it was for $250,000.00 or something like that! Miss you guys.